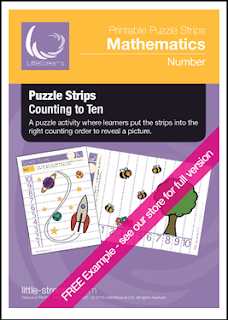 This is a free example of our Counting Puzzle Strips. A large image is cut into strips. When the strips are placed in order, a picture is revealed.